Long John Silver’s is an American fast food chain restaurant that has been around for quite some time. They specialize in seafood, and most of it is deep-fried, which means that you’ll have a heck of a time eating here if you’re on a low-carb or ketogenic diet. The good news is that they now have two baked meal options on their menu. This doesn’t give you a lot to choose from, but it’s better than it used to be! 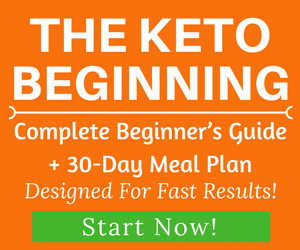 We always recommend avoiding eating fast food on keto if you can. Fast food restaurants use low-quality ingredients to keep the cost of your food down, and there isn’t even a vegetable on the menu at Long John Silver’s that you can safely eat on a low-carb diet. It’s in your best interest to avoid eating at Long John Silver’s or any fast food restaurant if at all possible. However, if you’re in an emergency and need food now, then we’ll show you what to order and what not to order to keep it low-carb. 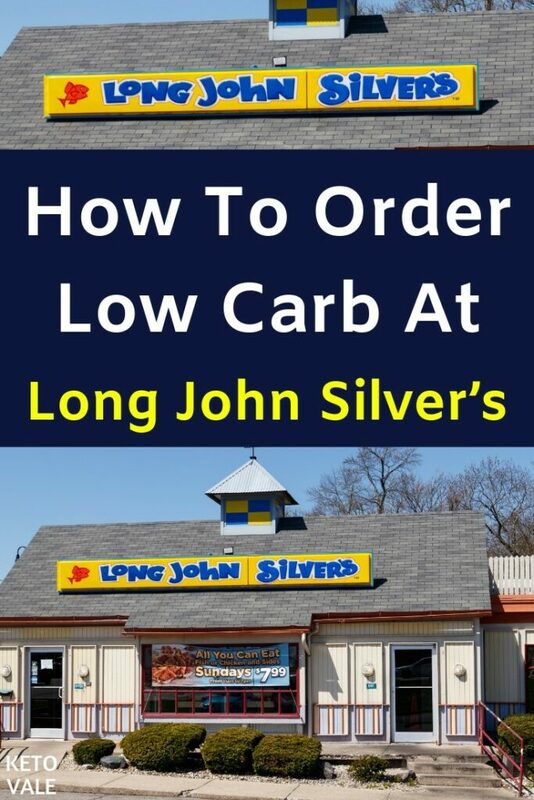 Long John Silver’s has one of the worst menus for low-carb dieters that we’ve seen since we started our series on how to eat low-carb at popular restaurants. This is because most of their food is fried with very few options otherwise. Their sandwiches, meals, combos, and family dinners are all fried. They even have tacos on the menu, and those are fried, too! In case you were wondering, fried foods are off-limits on the ketogenic diet because they are breaded. If you want to make keto-friendly fried foods at home, try these low carb breadcrumbs substitutes. The first ingredient in the batter at Long John Silver’s (and most fast food restaurants, for that matter) is wheat flour. The rest of the ingredients aren’t much better. They include corn starch, yellow corn flour, and a ton of preservatives. When we say that everything at Long John Silver’s is fried, we mean everything! There are fried mozzarella sticks, clam strips, hush puppies, cod, Alaskan Pollock, shrimp, and chicken tenders. The crab cakes don’t appear to be fried, but they still contain sugar and wheat flour in them, which means you shouldn’t eat them as a strict low-carb dieters. That doesn’t leave you with much in the way of food that you can eat. Most of the meat and fish at Long John Silver’s as well as most fast food restaurants are conventionally raised, which means that they could contain preservatives, antibiotics, and hormones. When you cover them in batter and deep fry them, you’re not getting the best quality of foods compared to purchasing organic, grass-fed meat and wild caught fish at the store. The website indicates that the cod is wild caught, so this would be a suitable option for keeping your fish clean as long as you can get it baked and not fried. Not to mention, Long John Silver’s has no sides that are safe to order. Your options include coleslaw, hush puppies, sweet corn, green beans, rice, French fries, and onion rings. So if you manage to get a piece of meat or fish that isn’t fried, you won’t be eating it with much else. 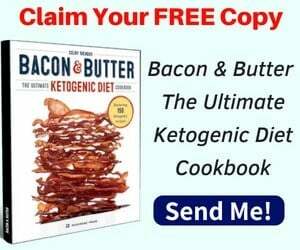 Eating at home ensures that you won’t run into this problem as long as you stock up on ketogenic-friendly items at the grocery store. 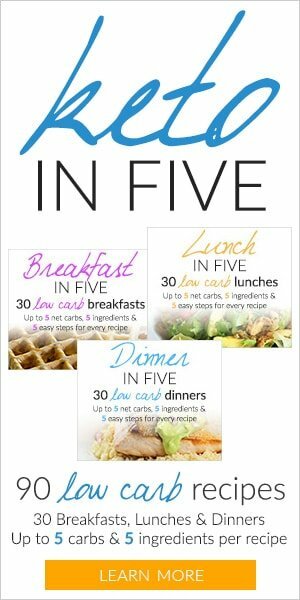 Cooking at home and taking your meals with you throughout the day is a great way to ensure your diet stays on track. 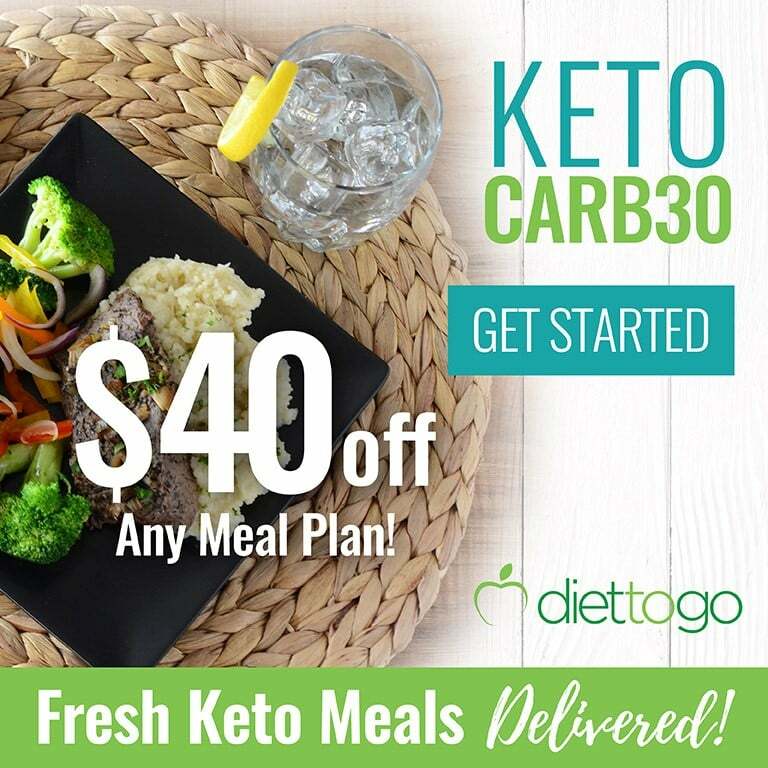 If you’re too busy to cook, or if you don’t like cooking at all, a keto meal delivery service might be a good option for you. If you happen to be out and about or leave for work without packing your lunch, then use these tips for ordering at Long John Silver’s. 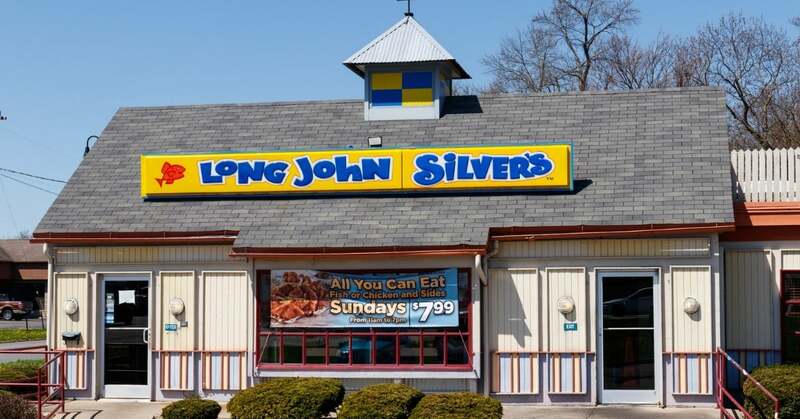 Long John Silver’s only offers two meals on their menu that are baked and not fried. They are the baked shrimp meal and the baked cod meal. You can either have these meals prepared sweet and zesty Asian style or with creamy garlic butter. The first ingredient in the sweet and zesty Asian sauce is high fructose corn syrup, so you’ll want to go with the creamy garlic butter preparation instead. 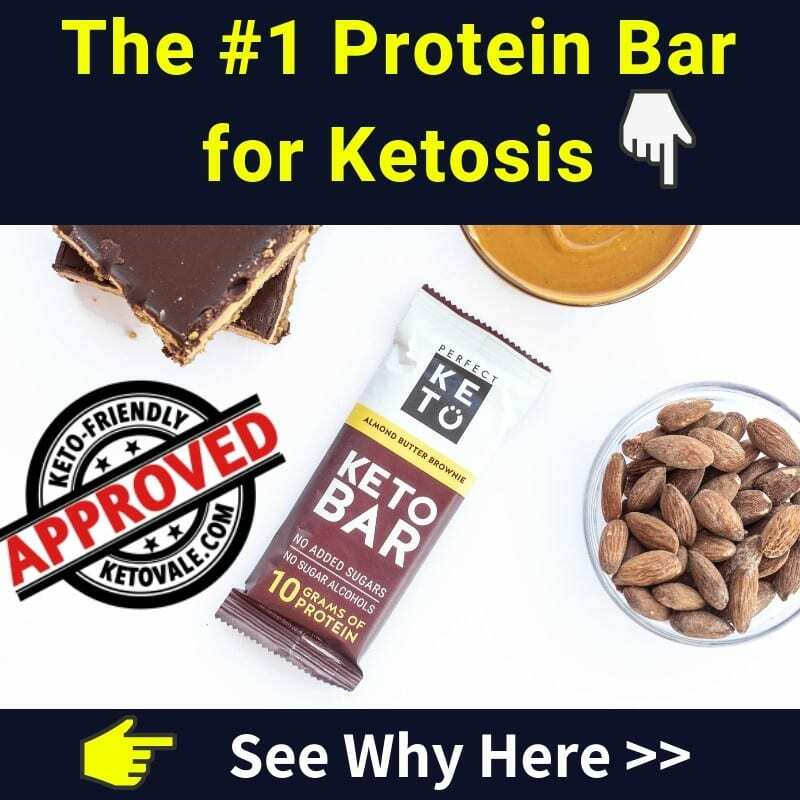 The ingredients in the butter sauce are as follows: liquid whey, butter, salt, spice, whey protein concentrate, natural flavors, xanthan gum, sodium caseinate, and turmeric extract. There are some preservatives in there, but overall it’s a much better option than the sweet and zesty sauce. It also only contains one gram of carbohydrates, per the nutritional information. Along with choosing the butter sauce preparation (or holding the sauce altogether), you’ll want to make sure not to eat the side dishes that typically come with the baked meals. For example, the cod comes with two sides, rice, and two hush puppies. Unless there is a steamed vegetable there that you can eat, you’ll want to have them hold all side dishes. Of the two baked options, we like the cod better because it’s wild caught. While going through the menu online, we noticed that there are some food items listed in the nutritional information guide that aren’t on the menu, such as broccoli. 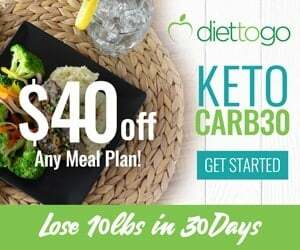 Since broccoli is one of the few vegetables you can safely eat on the ketogenic diet, it’s worth your time to ask if Long John Silver’s offers it on the menu. Sometimes, the menu varies between restaurant locations. Always ask about your options to see if there is any way you can customize your food to make it better suited for your needs. Steamed broccoli would be a great side dish to add to your baked shrimp or cod in place of the traditional options. We also noticed that they have packets of lemon juice available on the nutritional guide. This would be a great replacement for any sauce that comes on your food. Restaurants like to offer meals, combos, and platters to get you to buy more of their food. It’s often a good way to save money because you can get several food items, a drink, and a dessert for cheap. But you can’t eat most of this food anyway, so there is no sense in buying something that you’ll have to throw away. We recommend sticking with a single dish and customizing it the way you need it to be. The baked wild caught cod with steamed broccoli would be our first choice. You can always drizzle the cod and broccoli with a bit of lemon juice for flavor. Don’t try to add a drink unless it’s unsweetened iced tea or water or a side dish unless it’s a steamed vegetable. We normally put together a list of low-carb foods that you can safely eat at any given restaurant. However, the options are so few at Long John Silver’s that a list isn’t necessary! The main thing you’ll want to look out for is whether or not the fish is fried. It does not look like Long John Silver’s offers grilled chicken, so you’ll have to go with baked cod or shrimp instead. As we mentioned before, we like the cod because it’s wild caught, but you can do the shrimp if you feel like it as long as it’s not fried. There isn’t much in the way of side dishes that you can safely order at Long John Silver’s. Ask if they have steamed broccoli or another low-carb vegetable. Green beans and corn do not count. If they have steamed broccoli, then you have something to eat your baked cod with! Be sure to order the cod with no sauce at all or with a garlic butter preparation instead of the sweet and zesty sauce. You can also ask for a packet of lemon juice and drizzle it over your broccoli and cod for a hint of flavor. The list of foods that you’ll want to avoid at Long John Silver’s is longer than the list of foods you can eat. Any fried food is off-limits, and so are the starchy side dishes such as the coleslaw and rice. Here’s a complete list of foods to stay away from at Long John Silver’s. The majority of the foods at Long John Silver’s are fried, which makes it very hard to eat low-carb here. For this reason, we recommend eating at home whenever you can cook with organic, grass-fed meats and wild caught fish if possible and stick to your keto plan. Bringing your meals with you throughout the day is a good way to make sure your diet stays on track. If you find yourself in a pickle and Long John Silver’s is your only option for food, then go with a baked meal and hold all the sides except for steamed broccoli if it’s offered. There are two ways you can have your baked meals prepared. The first is with a sweet and zesty sauce and the second is with garlic butter. Avoid the sweet and zesty sauce and go with the garlic butter to keep your carbs down. You can also hold all sauce and ask for them to drizzle lemon juice over your fish and broccoli. Stay away from combos, meals, and platters as they only contain more of the foods you can’t eat and stick with unsweetened iced tea as your beverage of choice. If at all possible, choose another place to eat where you can get a bunless burger and a side salad in place of fried fish.